“(Kids age 3 to 8 should be taken) to visit field, forest, hill, shore, the water, flowers, animals the true home of childhood…for the very soul and body cry out for a more active, objective life, and to know nature and man at first hand. These two staples, stories and nature, by these informal methods of the home and the environment constitute fundamental education. 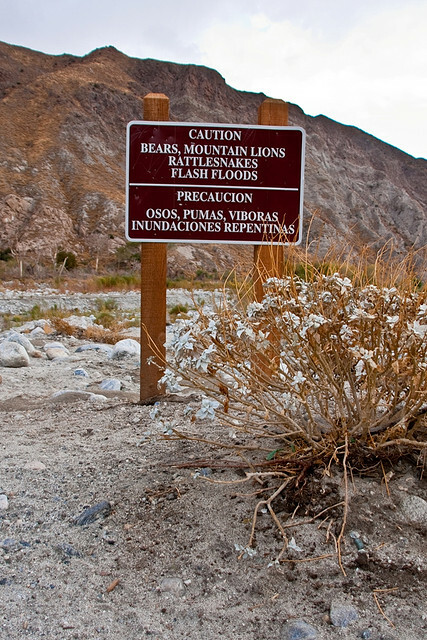 “The Great Fear of the Great Outdoors,” Gary Ferguson, Los Angeles Times Op Ed, December 21, 2014. A gust of cold December wind gathers embers from a campfire of desert-dried mesquite, swirling them into a glowing column, which climbs into the crisp, clear night sky, toward the huge orange moon. I stand in a circle with my buddies of Boy Scout Troop 374 from Pasadena, California. We are camping in the Calico Mountains, in the Mojave Desert, east of Barstow and one hundred miles from home. We turn our bodies toward the warmth. I gaze out over rolling hills of tumbleweed and creosote. We are alone here, no other people within ten miles. I have a vague recollection that night of the Aurora Borealis, Northern Lights. Very rare this far south. The scoutmaster pointed us toward the North Star, and there it was, radiating bands of crimson, violet and purple. As the fire died out, I retreated to my canvass tent and warm sleeping bag. I moved my hips about to create comfortable space. No air mattresses in those days. A band of coyotes sang to the moon in the distance. A few weeks later, I spend most of a Saturday in a vast, wild field of oaks and pepper trees, next to the mainline of the Santa Fe Railroad. My brother Michael and I are building high walls of a tumbleweed fort. Soon, neighboring boys and girls from the street above us will show up for another dirt clod fight. For most of my childhood up until junior high school, my brother and I were free to wander in empty fields, but with rich imaginations. Mustard weeds grew six feet high then, and we created winding mazes. These are some foundational experiences that helped me to enter wild places with a friendly imagination. As I have been writing about wild, desert places for twenty years, I have come to understand that being alone in wilderness spaces can be appealing to some people and a frightening nightmare for others. Perhaps a visual litmus test is the movie based on the popular book Wild: Lost to Found on the Pacific Crest Trail, by Cheryle Strayed. Wild places can purge the soul from dark events of the past. Walking through vast nature space can wake us to this present moment of wonder and amazement, conjuring hope and peace and joy. The huge popularity of the book and movie may point to our innate desire to walk in the wild. Deep within that unconscious memory may be vestiges of our primal ancestors and their holy communion with nature, where animate and inanimate creation was filled with spirit presences. Native Americans have not lost this spiritual connection with the wild places. As I channel surf through Weather Channel, Discovery Channel and PBS, a whole stream of disturbing videos present back to nature scenarios in Alaska and Brazilian jungles. Terrifying scenes reveal the true lives of alligators, rattlesnakes, mountain lions and wolves and our precarious relationship with them. Children and youth who see these programs have every reason to be afraid, be very afraid of the natural world. But if our deepest longing is connection with the Sacred, the Holy, the history of world spiritualities remind us that to journey out there in nature, into the wild places, will stimulate an inner journey that can be life changing. For May, walking and living in Nature freed him from mental agendas and conflicts. Nature pulled him into the Present Moment. He found a Wisdom and Power out there in the empty spaces. Gerald G. May, Wisdom of Wilderness, pp 46-47. In my own desert journeys, the fears that enveloped me were not out there in nature, but the anxieties and dread in my mental backpack. Such a heavy backpack! Will Erik be OK this week? Will I find enough money to keep the childcare center open? What I found in nature was a sensual backdrop for the revealing of the Holy, God reaching out to me, that here in this desert place just as at home with my family and work, I am loved. This entry was posted in Blog and tagged Cheryle Strayed, fear of the wild, G. Stanley Hall, Gary Ferguson, Gerald G. May, Pacific Crest Trail, The Wild, wilderness. Bookmark the permalink. Yes Fr. Brad, excellent! I agree having the same thoughts on my desert dunes ‘spirit walks’! Thanks once again!